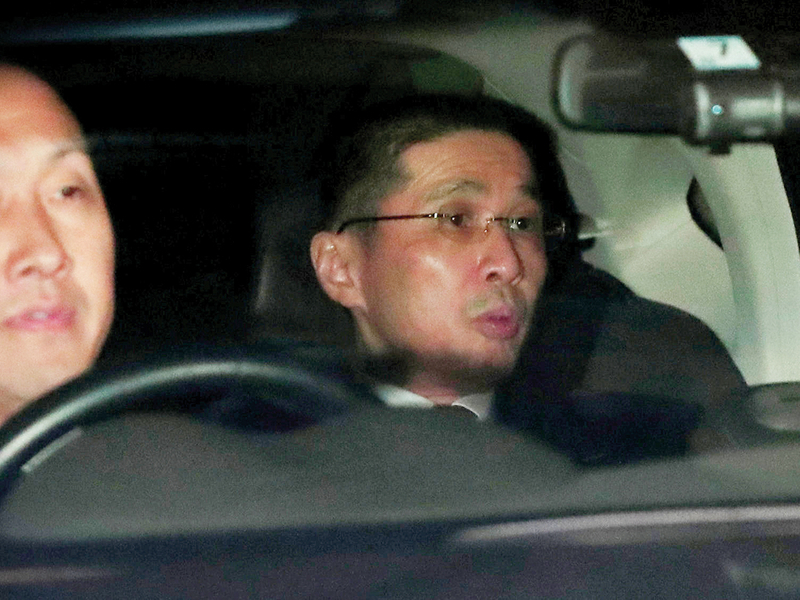 Tokyo: Nissan Motor Co.’s board has voted unanimously to remove Carlos Ghosn as chairman as the directors moved to contain the damage from the iconic executive’s shock arrest. Before his surprise arrest in Tokyo on Monday (November 19), Ghosn had been preparing to push for a full merger of Nissan with French partner Renault SA, which he also heads as CEO and chairman. Without Ghosn at the head of Nissan’s board, a merger looks very unlikely. The charismatic French-Brazilian executive was architect and linchpin of the two-decade-old alliance, created as an attempt to add heft against global rivals. 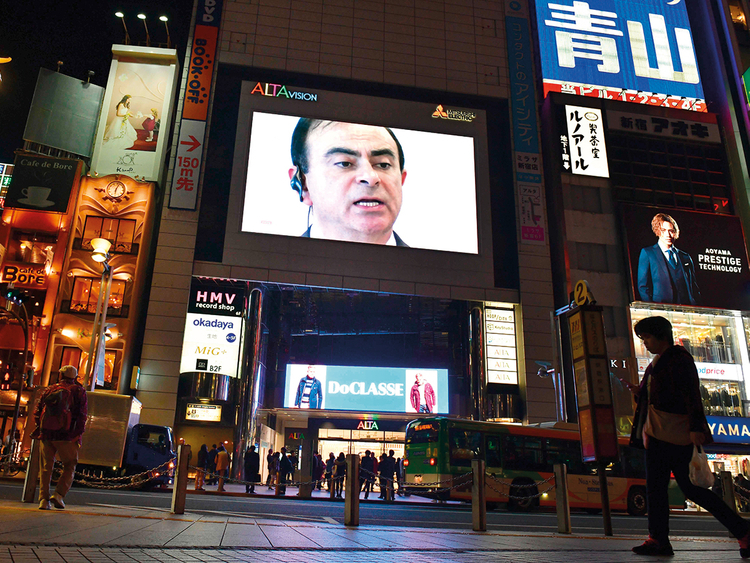 Ghosn’s arrest has now laid bare resentments that have built as the Japanese and French sides alternated successes and struggles over the years. Lately, the Renault-Nissan structure has become increasingly controversial in Japan due to Nissan’s strong financial performance. Although it’s generally outgrown Renault in sales and profits, the Japanese company has far less influence within the alliance. It owns a 15 per cent non-voting stake in Renault, which in turn owns 43 per cent of Nissan, with voting rights. Mitsubishi Motors Corp. was added to the alliance in 2016. The unanimous vote by Nissan directors to oust Ghosn means the Renault representatives on the board also backed his removal. The French carmaker itself put in place new interim leadership earlier this week but declined to fire Ghosn, saying he should be presumed innocent until more details become available. Interim Renault CEO Thierry Bollore said “the alliance is vitally important for Renault and we will ensure total continuity with our partners”. The French side, conversely, has been keen to maintain — if not intensify — the current relationship. French Finance Minister Bruno Le Maire said Wednesday that the partnership is set to continue and will be deepened. As Renault’s largest shareholder, the French state is “totally attached to the alliance of Renault and Nissan,” he said. Renault board indicated that it was in the dark about the details of the allegations. “At this stage, the board is unable to comment on the evidence seemingly gathered against Mr. Ghosn by Nissan and the Japanese judicial authorities,” it said in a statement earlier this week. The alleged offence, as per Japanese laws, is even more serious than insider trading. Carlos Ghosn is set to officially remain a director at Nissan, since a shareholder vote is needed to remove him from the board completely. The Japanese carmaker won’t nominate an interim chairman, and its three independent directors will nominate a permanent chairman later on, a spokesman said.